Emily and Luna have become one of my favorite places for health and wellness in the Rockford area. Sometimes it can feel daunting going to a new place, but Emily is so amazing. She makes you feel at ease no matter the topic. We were first introduced to Emily by our Doula, Heather James (also super great!). We decided to take the Birthing from Within class at Luna taught by Emily. We had taken a birthing class at the hospital, but we wanted something more, something that would help us know more about natural ways of coping with pain during the birthing process. We wanted to have our baby in the hospital, but we still wanted to focus on having as natural of a process as possible. It was a small, intimate class, which was nice because we could openly share our concerns and fears without feeling judged or silly. It was also nice because, even though we weren’t doing an at home birth, we didn’t feel outcast or judged for that either. The tools and methods we learned in Emily’s Birthing class helped better prepare both myself and my husband for the unknown journey ahead. It gave my husband the confidence to know what he could do to help me through labor. 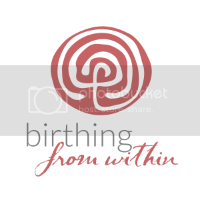 The Birthing Within class helped us prepare for all the possibilities, so when it came time to make decisions during the chaotic labor and birthing experience, we were able to do so with calm, cool heads because we had a plan. The class also made us a better team, since we practiced how to comfort and support each other through the process, and we were able to fall back on that once the time came. Since our baby was born, I’ve also participated in a core workshop at Luna, also taught by Emily, and some other classes. Everyone at Luna does a great job of explaining the science behind everything in terms that are easy to understand. They also answers all of your questions during and after (even months after) the classes. I would recommend Luna to anyone looking to learn more about their health before, during and after pregnancy! Nearing the end of my pregnancy I took the prenatal Mamalates class and it was great! I’m 1 week postpartum now and feel that I’m recovering much, much more quickly than I did from my first birth due to taking the class. I also really appreciate the free postpartum support group! Thanks for being a great resource in our community! The mamalates class is great! So great to learn all of the stretches to help me throughout my pregnancy! Highly recommend this class and Luna!